Deciding on a color scheme for your wedding can determine everything from the color of your groom’s suit, to the napkins your guests place on their laps. Timeless summer wedding color ideas are always simple and natural, which is why I’m pulling my favorite summer color combinations from flowers enjoying their season during the summer months. 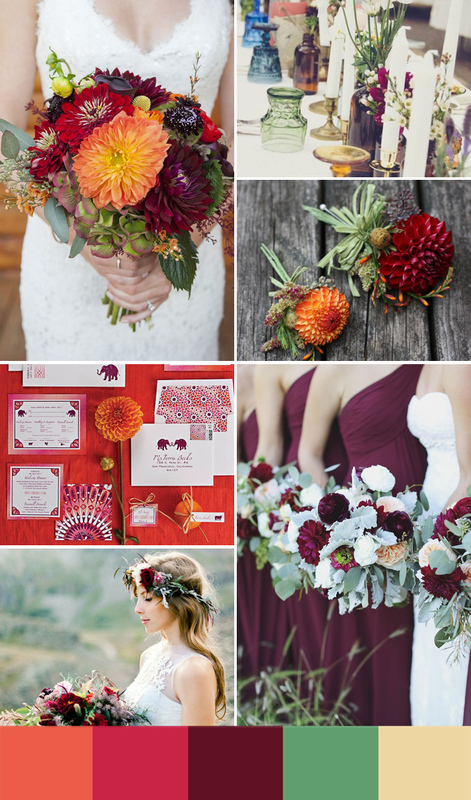 From gorgeous, eccentric proteas to romantic garden roses, read on to see some of this summer's prettiest wedding color combos and the flowers that inspired them! This flower will make a statement. Originating in South Africa, the protea can withstand harsh temperatures making it the perfect summer flower. It is bold in shape and texture, but the protea’s colors are delicate and easy to blend with bold pink or yellow accents and greenery. A bunch of chamomile daisies is perfectly summery and incorporates a bold color with a more casual structure. I would suggest arranging in large bunches or mixing with waxflower and pink veronica (purple) or craspedia (pollen yellow). Garden roses are the most delicate and wonderful roses. 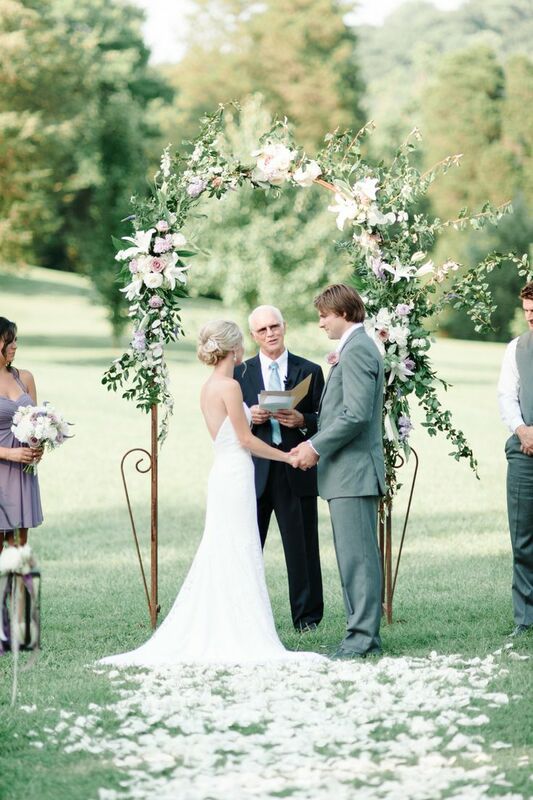 They are romantic, feminine, and perfect for a more traditional or antique inspired bride. Garden roses come in a variety of colors ranging from cream to an antique peach and are lush and layered, like peonies, but have small and dainty blooms. Varieties of greenery are full of movement, various shades of green, and a various textures. Plus, greenery is hearty and able to withstand the summer heat, while being surprisingly easy on the budget. Opting for a tablescape and a bouquet full of various forms of greenery will create a gorgeous lush color story. Everyone loves a dahlia. Peonies and dahlias tend to be the most popular flowers among brides today. Luckily, for summer brides, this is the dahlia’s season! Fill a bouquet with the rich corals, raspberries, and deep reds. Go bold with your dahlias, and mix in a few garden roses for a lush summer bouquet. 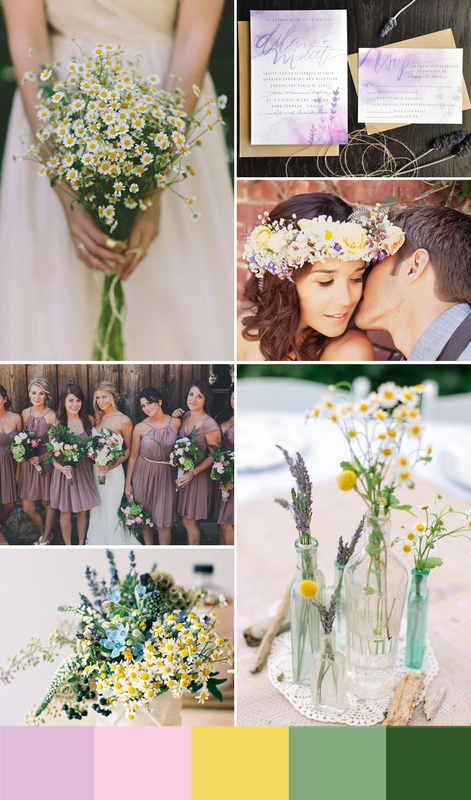 Which of these pretty summer wedding color ideas are inspiring your upcoming wedding day? Let us know in the comments!